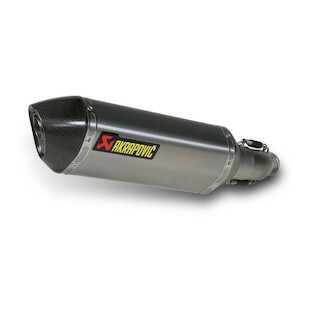 Akrapovic Exhaust is a name synonymous with quality and is the industry leader in aftermarket motorcycle exhaust systems. 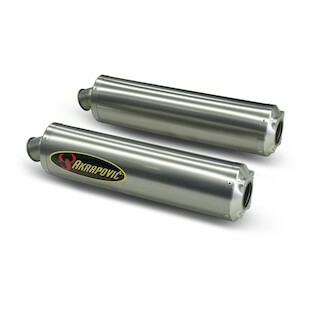 Founded by Igor Akrapovic in 1990, he designed his own motorcycle exhaust system based on experience gained in the field of motorcycle tuning and racing. Replacing steel with high-quality stainless and the innovative use of titanium; the systems are known for their impact on performance, lightness, durability and sound. All of the Akrapovic exhaust systems focus on three concepts: power and performance, quality/aesthetics and weight savings. There are three types of systems, the first of these is the bolt on used for older OEM fitments and if the stock muffler is being used. They give the advantages of weight savings, performance gains and aesthetic improvements. Slip-on systems have bike specific shapes (over 65), are easy to install and have the most offerings overall. They are more affordable than the full system with the shape, size, length and end cap all optimized for bike specific performance gains. This system gives additional improvement to weight savings, performance and aesthetics. Full systems are divided into Racing or Evolution and from a performance standpoint, they're identical. 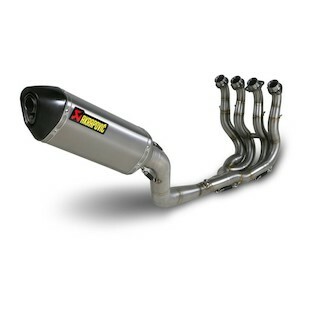 The racing line is stainless steel with carbon or titanium muffler options and a carbon fiber end cap. The evolution line is a full titanium version of the racing system with carbon fiber or titanium muffler and carbon fiber end cap. This system has the largest weight savings and is top of the line in regards to performance and aesthetics. Harley Davidson systems have new product offerings for 2011, in all stainless, chrome or black options. Full systems are called open systems and slip on are also available. Full systems are tuned to work with 95% of stock fuel settings; only HD and some off-road bikes need to be re-tuned after full systems install. No matter what you purchase, everything you need for installation including instructions will be in the box.